Happy Halloween! I hope you have a fun and spooky time. 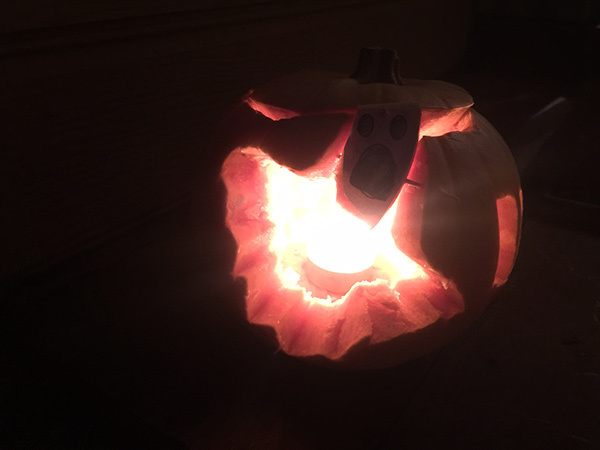 Have you created your Ghost Pumpkin or otherwise known as a Ghost jack-o’-lantern’s yet? You might be wondering why I am referring to the pumpkins as Ghost pumpkins? Well Coles was selling lightly coloured pumpkins as Ghost Pumpkins and I thought how cool. I have never seen a pumpkin that is not orange. I thought it would be fun for a change and also loved the genius from the Coles marketing department by labeling them Ghost Pumpkins. Carving our Ghost Pumpkins for Halloween. 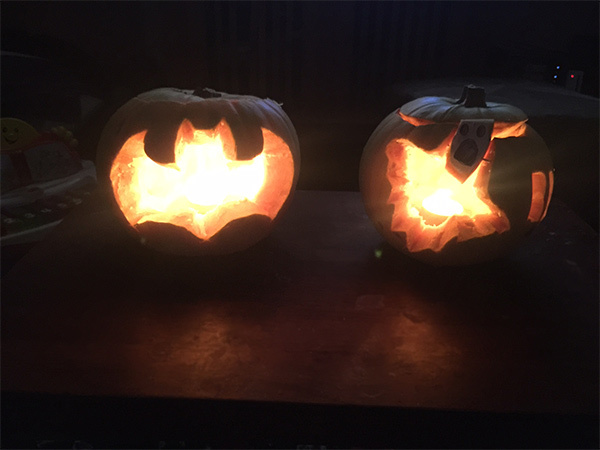 We did one bat and one a ghost. You can just picture the conversation around the board room…. it might have gone something like this. I really don’t know what was said behind the closed doors of Coles and especially from the marketing team but maybe it did go down like I suggested. I went back the other day and they seemed to have sold out of these Ghost Pumpkins so calling them ghost pumpkins was a brilliant idea. 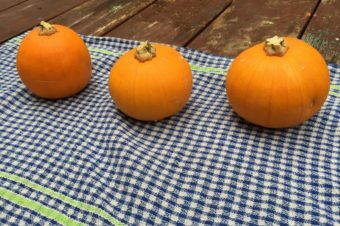 Since I purchased the pumpkins at Coles they also said that they had more info on how to decorate them on their website. I downloaded the Halloween Stencils to allow me to create the correct shapes and pictures. Do you use stencils or do you just create something on the fly? We have done a bit of both over the last few year so thought I would give the more complicated pictures on pumpkins a go. A pumpkin or two. Yes I know it is obvious you need to have a pumpkin to carve it. 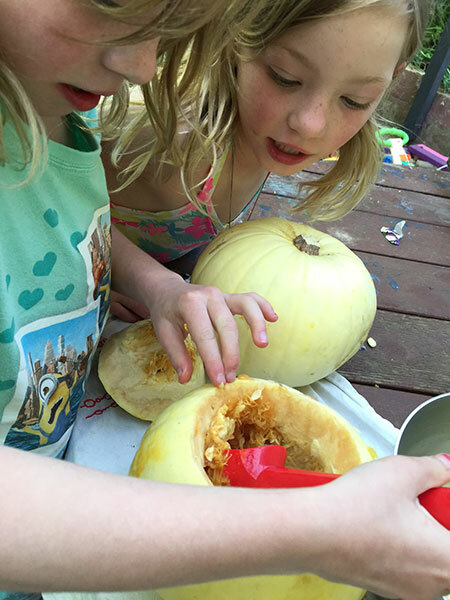 An ice cream scoop helped us clean out the inside of the pumpkin and made it so much easier. Know the design you wish to create for your pumpkin. It helps having an idea of what you would like to create, you will be less annoyed afterwards if you have a plan. 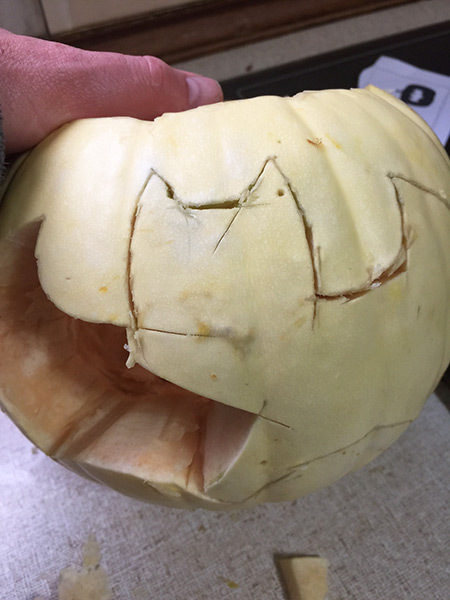 If you are not excellent at cutting pumpkins and need to have a guide for the shapes it is an excellent idea to have a stencil to work with. You can trace the outline and then use this to cut out the shape. To help attach the stencil to the pumpkin I used tooth picks. I put the tooth picks into the area of the pumpkin that would be cut out. How do you carve a pumpkin? Step 1: You need to get the top off the pumpkin first. 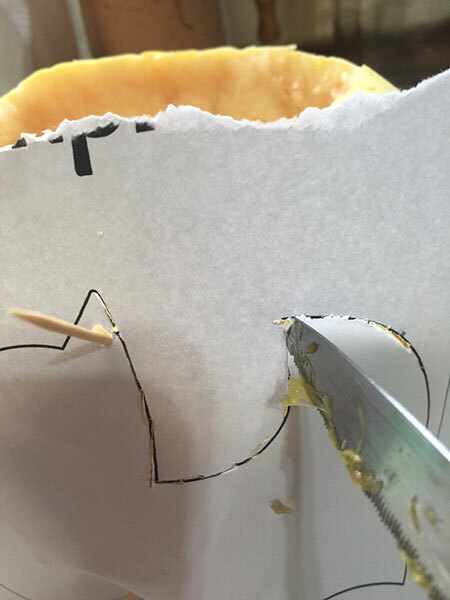 It is best to create an outline with your knife and go over it again and again to work it loose. The top with the cuts around it to help get the top off. Now the top is off, the inside of the pumpkin needs cleaning out. You can also keep the pumpkin seeds and roast them to add to meals or for snacks. Step 2: Clean out the inside of the pumpkin. This might take a while and it is recommended to dry it out. 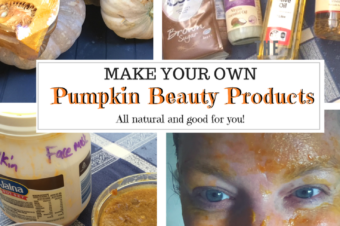 If you are in a rush and would like to use the pumpkin that day and not wait too long to dry you can put it on the trays in front of the oven to get the heat but not cook it. 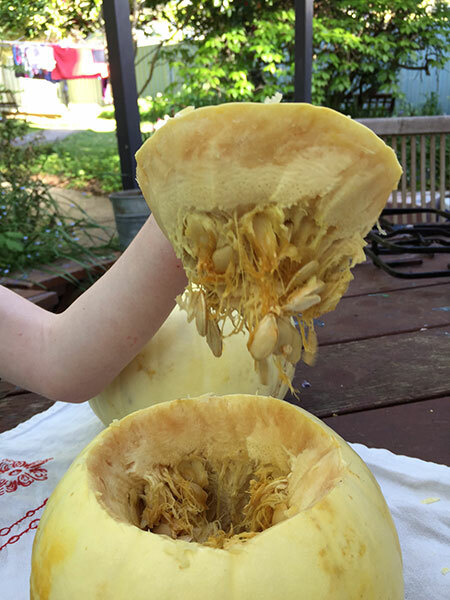 Cleaning out the inside of our Ghost Pumpkins. Using an ice cream scoop was a great idea as it made the job so much easier. Step 3: Once you have cleaned and dried out the pumpkin it is now ready to carve. Remember it is best to have a good idea of what you are going to do. If you make a mistake you will have to start all over again with a new pumpkin. I used stencils from Coles this time and they helped me get the right shapes for the characters. However with the ghost I should have made it smaller or put it on the bigger pumpkin (this was not possible due to one child claiming the bigger pumpkin and wanting the bat on it, I could not tell her otherwise) due to the fact that the head was missing and I thought it would not be an issue. I did think that a headless ghost would be great but it did not give you the idea of the character. I ended up adding a new head with the cut out from the stencil for eyes and mouth. Now the stencil is attached to the pumpkin you can use the knife to mark the lines of the bat. Once you have all the lines there you can remove the stencil and start to create the bat. I did the same for the ghost, although I needed to make the image smaller or find a bigger pumpkin. Make sure your design fits perfectly on the pumpkin. See here I’m tracing the lines with the knife. This is a not to difficult but it does take some time. Don’t worry if you cut through the paper as this will just end up in the recycling anyway. See the lines on the pumpkin is now in the shape of the bat that was on the stencil. The next step is to cut out the bat shape and reveal the bat so you can light it up for Halloween. Getting there. It is partially cut out and on its way to being a nice looking bat. Just take care with the knives and don’t hurt yourself. Remember it is for an adult to do this so that little fingers don’t get hurt. 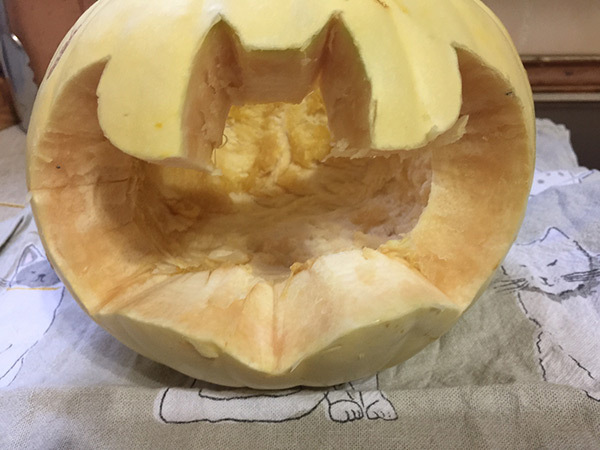 Step 5: After cutting out for a bit and removing the excess pumpkin a bat is born! Our ghost pumpkin bat. I think it looks amazing. Using the stencils really helped get the right shapes for the bats wings and ears. What do you think? So now both the pumpkins are complete and the girls were keen to see them with candles in. Our wonderful bat and ghost pumpkins are now all complete and lit up with a candle each. I even added a little bit extra to the ghost one. I put the word BOO! on the side of ghost. Not my best work but it was done freehand and I thought it might turn out better than it did. Still a good job and gives a nice spooky impression. The ghost pumpkin with added head due to smaller pumpkin. 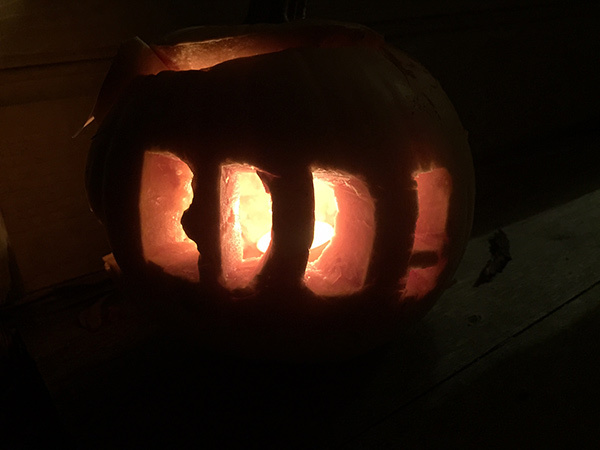 The word “BOO!” on the side of the ghost. If you are in the partying mood and wish to have some spooky monsters on the top of your cupcakes, I have the perfect download for you. Download this amazing printable to decorate your cupcakes. 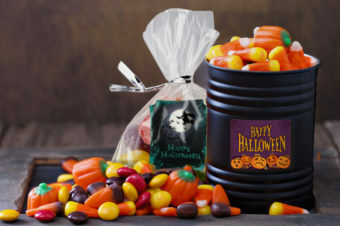 Perfect for Halloween or birthday parties. 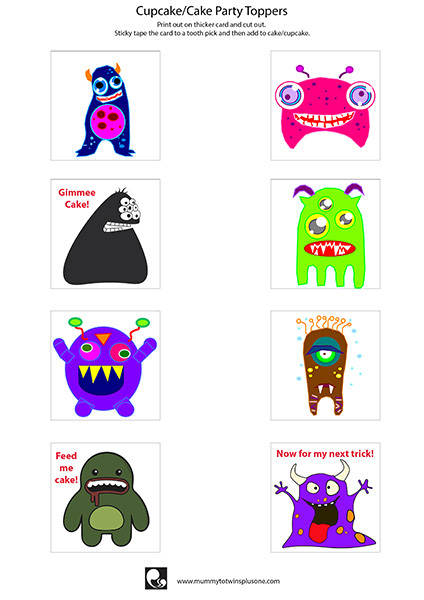 Spooky monsters will make you giggle while you eat your sweets. You get 2 pages of cupcakes toppers with fun and scary monsters. Just right for a spooky celebration.